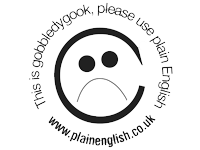 We campaign against gobbledygook, jargon and misleading public information. In this section of our site, you can read about our awards, see examples of communication at its worst, and read about some of our past campaigns. 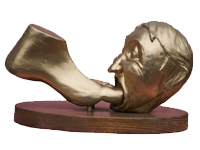 Read about past winners of our yearly awards, such as our infamous and much coveted Golden Bull and Foot in Mouth awards. Terrible management speak, clichés, jargon and gobbledygook examples – here’s how it shouldn’t be done. 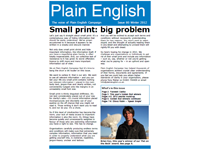 All plain-English developments in the news. 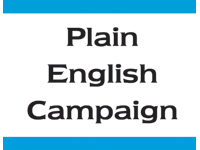 How to get in touch with us if you’re a journalist or simply have a question about plain English. Some of our past work in the name of clear communication, across many areas and issues.